The New Zealand Humanists have launched a web site opposing Blasphemy in New Zealand. 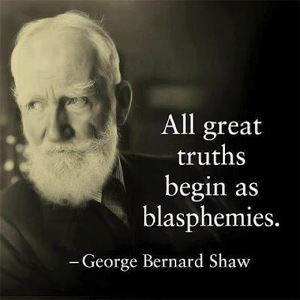 The New Zealand Association of Rationalists and Humanists fully support this campaign to eliminate Blasphemy legislation. It is important to repeal blasphemy laws in western countries to show countries with very severe penalties such as flogging and death that blasphemy is not a crime and should not be punished. Countries with severe penalties have cited western countries with blasphemy laws as a justification for their own punitive laws that include torture and execution. There has also been a move by some Islamic countries to impose their blasphemy laws on western countries to prevent valid discussion and criticism of religion. Should this be implemented it would have an adverse impact on freedom of expression and may also prevent some scientific discussion. Terrorists have used blasphemy as a justification for terror attacks in western countries because of the perception that blasphemy is a crime that should be punished, and terrorist organisations use blasphemy as a reason for murdering people in territory they occupy. Removal of blasphemy laws removes this justification and incitement to hatred and violence. Blasphemy laws contravene international law. It is important to defend the internationally recognised human rights to freedom of religion, belief, speech, and expression. However, there is no international human right to have one’s beliefs protected against discussion and criticism. New Zealand’s blasphemy law conflicts with both New Zealand and international freedom of religion, belief, and speech provisions. Freedom of religion, belief, and speech laws are aimed at protecting people, not ideas and beliefs. Humans have rights while beliefs do not.